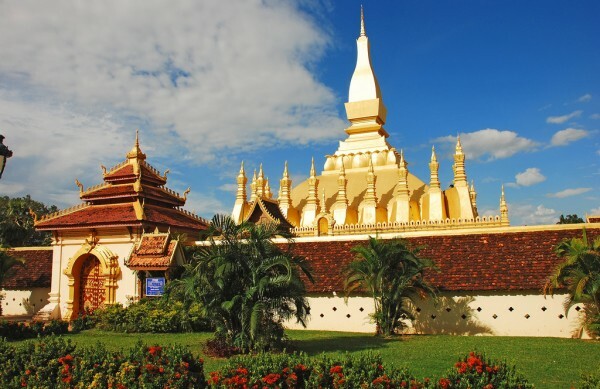 Discover Vientiane Capital such as the oldest Wat Sisaket , the temple with thousands of miniature Buddha statues and the former royal temple of Wat Prakeo previously housed the famous Emerald Buddha Image, the structure of That Luang Stupa, Patuxay Monument, which is well known as Vientiane's own Arc de Triumph. 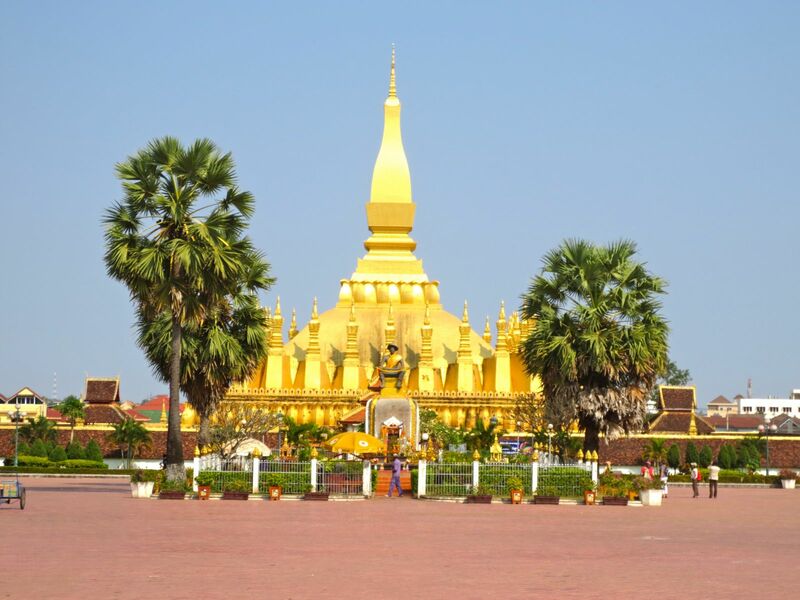 Upon arrival in Vientiane Capital, you are met and transferred to your centrally located hotel. 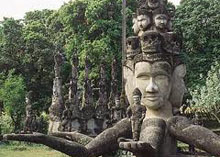 After a short rest, we start visiting the major sights of the capital; including the oldest Wat Sisaket , the temple with thousands of miniature Buddha statues and the former royal temple of Wat Prakeo previously housed the famous Emerald Buddha Image. On the way to the famous and sacred structure of That Luang Stupa, we stop to take some pictures of the imposing Patuxay Monument, which is well known as Vientiane's own Arc de Triumph. Overnight in Vientiane. Breakfast, we are heading out of the city. We make our way to Nam Ngum, a huge reservoir created by damming the Nam Ngum River, with stopover at Ban Keun, which is famous for the salt extraction. 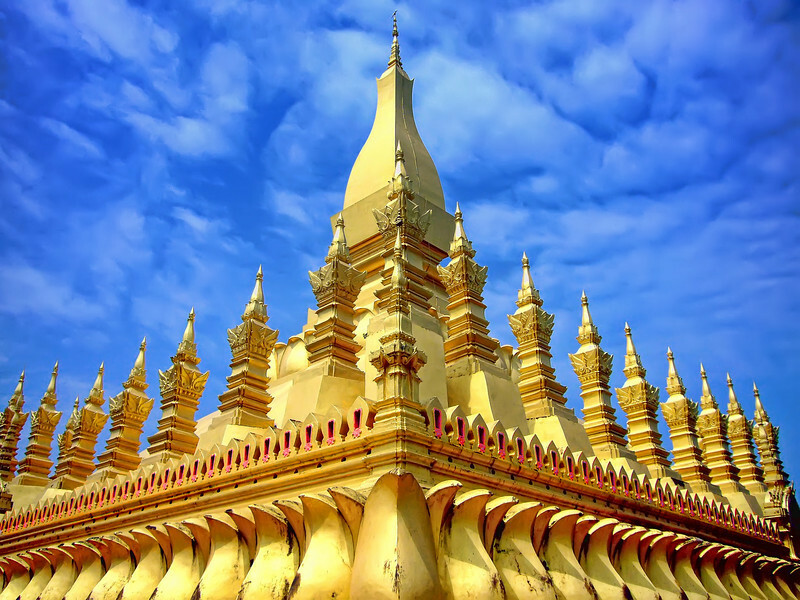 On arrival, we embark on a long tail boat to Dansavanh Resort where the only Laos' legal casino available and enjoy an ideal landscape for anyone seeking an overview of lake when the heat becomes unbearable in city. A long the way, we visit some beautiful islets and take a short walk to explore the lifestyle of fish man people, return to Vientiane by late evening. Overnight in Vientiane.